Islamic Foundation has two individuals: Imam Nasser and Br.Hisham. Both are available to provide Imam Services such as Shahada Services, Nikah Services, Religious Counseling, and Janazah Prayer. Please reach out to them directly and schedule time based on their availability. Imam Nasser Hussein is the Imam at Islamic Foundation and leads all the 5-daily prayers. He is a Hafiz from Al-Azhar in Egypt and is a Qari with Ijaza. He has over 20 years of experience leading prayers, including Taraweeh prayers in Europe, Africa, and North America. 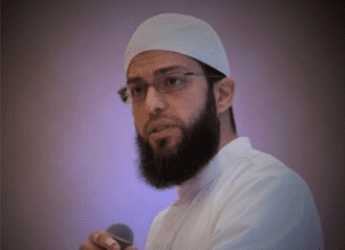 He has significant experience training and teaching many huffaz and was part of an extended Al-Azhar Hifz teaching program. 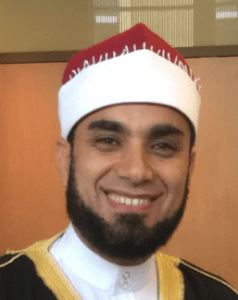 Most recently, Imam Nasser was Imam at a masjid in Kansas and joined the IF community at the end of last year. Imam Nasser can be reached at 1.630.941.8800 ext. 1075 or nhussein@ifsvp.org.